educating customers about the quality and authenticity of Italian cuisine and its ingredients. 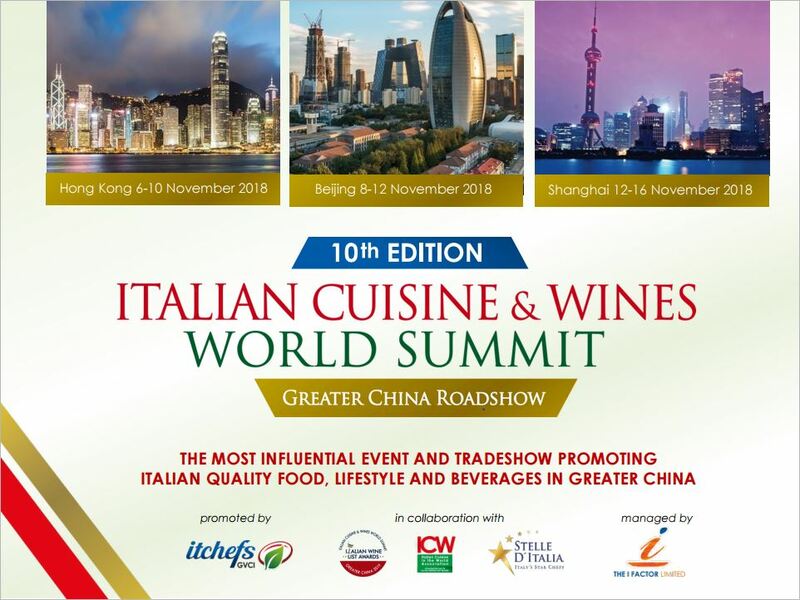 This year's Summit is committed to bringing the best Italian contemporary Michelin starred chefs in the best Italian Restaurants of Greater China, for a series of exclusive gala dinners and receptions in an effort to reward the establishments that privilege authenticity and quality of their offer. In all the different locations, the Summit agenda comprises Gala Dinners and side activities such as the Italian Wine List Awards, B2B meeting opportunities, workshops and masterclasses. See the full agenda and presentation here. Complimentary tickets for the Opening Gala. Opening Gala dinners ( the products of the Partner will be integrated into the menu, with logo + possible corner dedicated to the Partner, for the exhibition of its products, within the same venue). Special benefits tailored to the main partner’s target and expectations. All partnership and sponsorship agreements are tailor-made to the needs and expectations of partners and sponsors. At each level, the Sponsor / Partner can decide to participate in the full roadshow or only 1 or 2 cities. For more detailed information about the beforementioned packages, please find the list of all benefits here. For more detailed information about sponsorship opportunities for the Italian Wine List Awards, please find the list of all benefits here (WINERIES ONLY) and here (NON-WINERIES).